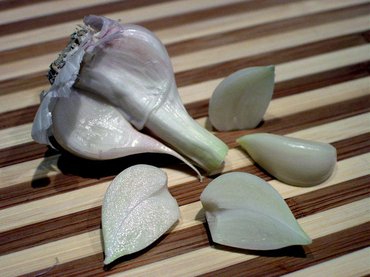 I'm still about 3 weeks away from harvest on even the earliest garlic, but I impatiently yanked a bulb last week and left it to cure until today. Even thought it's the 4th of July, I didn't have anything special planned for dinner. 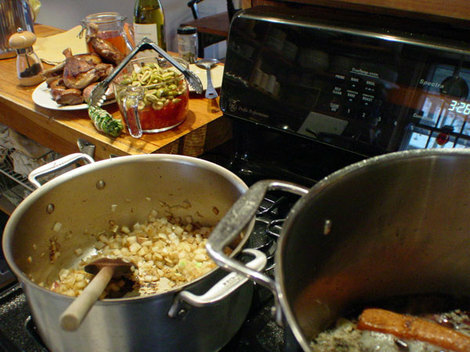 When you grow garlic, there is always the question of what to do with the scapes (the curly-Q flower stalks on hardneck garlic varieties). They need to be removed to concentrate the plant's energy on forming the underground bulb. 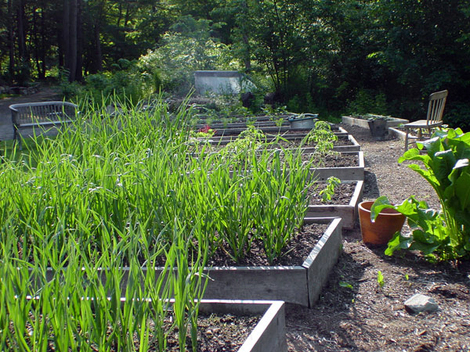 Problem is, they all need to be removed at the roughly the same time, and if you grow more than a few heads of garlic (we have 250) that's a whole lot of scapes to make sense of in a very short period. I just want to follow up with a more thorough catalog of what I've planted. I snapped a few more pictures today, but wasn't happy with most of them. 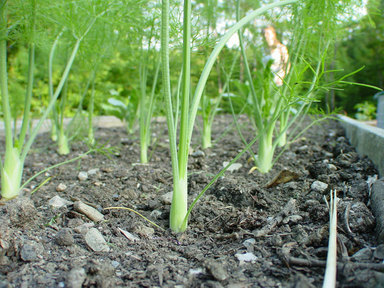 So you get a photo of the baby fennel (that's my stepdaughter Annie at the far end of the bed). It's an impossible garden to photograph, long and narrow as it is. There are 15 boxes total: 10 4' x 8' boxes along a narrow stretch, with a patch of rhubarb, then two more 4' x 8', plus 3 2' x 8' boxes along the edge. Really, the best way to see the layout is from the deck on the third floor. I'll try and patch together a panorama. Following is a more or less complete list of my future harvest.